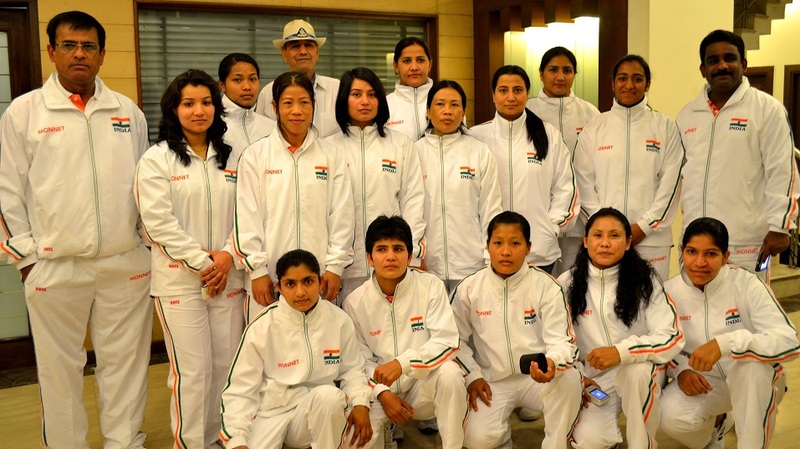 The ten member women?s team selected to represent India at the 2012 ASBC Asian Confederation Women?s Boxing Championships will leave the capital city of Delhi in the wee hours of Thursday (15th Mar?2012) for Mongolia to participate in biennial event. Accompanying the boxers would be four coaches, one team doctor, a physiotherapist and the team manager. The Continental Championship, which will be held from 16th to 26th March in Ulaanbaatar the capital of Mongolia, is expected to witness more than 200 boxers from 17 countries vying for top honours. The VI edition of the championships will sever as a preparatory ground for the first and only qualifying event for 2012 London Olympics, the 2012 AIBA Women?s World Boxing Championships, which slated to be held in May at Qinhuangdao, China (9th ? 20th May?2012). Since the beginning of the Continental Championships in 2001, India has emerged as a dominant force at the event. The previous edition in Kazakhstan saw Indian women bag eight medals (two gold, one silver and five bronze medals). This time around as well, the Indian team hopes to return with a favourable performance. Chief Coach Anoop Kumar said that the continental championships will be a good ice breaker for the big tournaments that will soon follow and will also help the boxers to get into a good rhythm. Talking about Indian?s chances in the championship he expressed, ?We are fielding a mixed squad, with a balance of experience and youth. All the girls that have been selected are the best in their weight category and were selected after a fair trial. It?s difficult to predict the competition that will be on offer, but we should be able to bag five to six medals this year?. Coach Kumar is very positive that the two big guns of Women?s boxing ? five times World champion MC Mary Kom and four times Asian Champion L Sarita Devi, will both yield top results. ?Mary and Sarita are two of our prized fighters. They have a good track record at the continental championships and I am quite sure that both will return with a good performance?. Mary, who is being touted as one of India?s best bet for an Olympic medal, along with Sarita Devi have been a part of all the previous five editions of the Asian Championships. Sarita has been successful at winning a medal at all the Asian Championships; she won silver at Bangkok in the inaugural championship and followed it up with four consecutive gold medals. Mary missed out on a medal in 2001, but has bagged three gold medals and one silver medal since. For the Asian Games bronze medallist the tournament will be of added importance as it will be her first major tournament in the 51 kg weight after the Asian Games in 2010. She said, ?I have been training in the 51 kg weight division for more than a year and I am quite comfortable now. This event will provide me a good opportunity to access my game before the big events ? the World Championships and the Olympics?. For Sarita this would be a chance to make it five gold medals in a row and she is hopeful of achieving this unparalleled feat. The 30 year old, who recently changed to 60 kilogram weight category said, ?My target is to get that fifth gold, but the competition is going to be quite tough this time around with boxers trying to fit into the Olympic weight division. I am well prepared and confident of a good performance and will try my level best to achieve the desired objective.? Arafura Games silver medallist Meena Rani (64kg) and Asia Cup bronze medallist Kavita Chahal (+81) are the other two boxer in the squad to have played at the Asian Championships. Kavita won a bronze medal at the 5th Asian Championships and followed it up with another bronze in the 2010 World Championship. The 26 year old will look replicate or better her performance this time around. Meena on the other hand will work towards improving her track record at the Championships. Arafura Games gold medallist Pinki Jangra (48kg) will also be seen in action in Mongolia. For the> 21 year old, who will be making her debut at the Asian Championship, this would be her first major international tournament. The Haryana girl, who has come up the ranks in the domestic circuit is keenly looking forward to the championship as an opportunity to break into the international scene.